These Terms of Service (these “Terms”) explain how you can use the Riverdance App mobile app, services and software (collectively “The Riverdance App”, “Riverdance App” or “Service”), provided by Abhann Productions Limited, (“Abhann,”, Abhann Productions Ltd.”, “Riverdance”, “we” or “our”, “our licensees or assigns”) so please read these Terms carefully. They apply to all visitors, users and others who access the Riverdance App (“users”). In order to use the Riverdance App you must firstly agree to the Terms. You may not use the Service if you do not accept the Terms. The Riverdance App is an app that a) allows you to learn more about and stay in touch with Riverdance and b) provides training in the original Riverdance choreography, and all from your mobile device. When signing up for the Riverdance App, you agree to provide accurate information. You also understand that you’re responsible for the activity in your Riverdance app. This goes without saying, but you‘re not allowed to access another user’s account without permission. We trust you to use the Riverdance App and our services responsibly – which means, for example, you agree not to interfere with the Riverdance App or our services or try to access them using a method other than the interface and the instructions that we provide. 11. violate the law in any way, or to violate the privacy of others, or to defame others. We may permanently or temporarily revoke or suspend your access to the Riverdance App without notice and liability for any reason including your violation of these Terms. Upon termination for any reason or no reason, you continue to be bound by these Terms. Who can use the Riverdance App? You can use the Riverdance App only if you can form a binding contract with us, and only in compliance with these Terms and all applicable laws and regulations. By using the Riverdance App, you allow Riverdance App to help manage content, information and media (anything you upload, submit, or transmit through the Riverdance App, collectively “your content”). You retain ownership rights of your content, but you are required to grant limited license rights to the Riverdance App and other users of the service. You understand and agree that you are solely responsible for your content. You are responsible and liable for anything you copy, share, upload, download, attach, send, receive, record or otherwise do while using the Riverdance App, and you represent that your content is actually your content or that you have all necessary rights to use your content on or through the Riverdance App. We retain our rights title and interest in the Riverdance App, and all that makes up the Riverdance App, including, without limitation, software, design, text, graphics, logos, patents, trademarks, service marks, copyrights (“our content”), and all intellectual property rights related to our content. Subject to these Terms, we give you a non-exclusive, limited, non-transferable, freely revocable license to use the Riverdance App for your personal, noncommercial use only (i.e. you can’t resell Riverdance App). Just like you retain ownership over your content, we reserve all rights not expressly granted in these Terms in the Riverdance App and our content. These Terms do not provide you with any rights to use our trademarks, logos, domain names, or other brand features. Use of our content for any purpose not expressly permitted by these Terms is strictly prohibited. You may choose to give us feedback or ideas about the Riverdance App, including improvements (“ideas”). By submitting an idea, you agree that you’re doing it out of the goodness of your heart and not for financial gain or other recognition. We are free to use the idea or share it with others, or we may use a similar idea, developed by our employees or obtained from another source. You are responsible and liable for your content and what you otherwise copy, share, upload, download, attach, send, receive, record or otherwise use while using the Riverdance App. We will respond to notices of alleged copyright infringement according to appropriate EU processes. We reserve the right to suspend your account, delete or disable content alleged to be infringing and/or terminate the account of a repeat infringer. Software from Abhann Productions Limited: Some use of the Riverdance App requires you to download a client software package (“the app”). To use the app you must have a device that is compatible, so we cannot guarantee that the app will work on your device. We grant you a limited, nonexclusive, nontransferable, revocable license to use the app, solely to access the Riverdance App. Your license to use the app is automatically revoked if you violate these Terms. You may not copy, modify, distribute, sell, or lease any part of the Riverdance App or included software, nor may you reverse engineer or attempt to extract the source code of that software (unless laws prohibit those restrictions or you have our written permission or delete the copyright and other proprietary rights notices on the app). Software from iTunes: You acknowledge and agree these Terms are solely between you and Abhann Productions Limited, not Apple, and that Apple has no responsibility for the Riverdance App or the content sent or received using the Riverdance App. Your use of the Riverdance App must comply with the App Store Terms of Service. You acknowledge that Apple has no obligation whatsoever to furnish any maintenance and support of Riverdance App services. If the Riverdance App fails to conform to any applicable warranty, you may notify Apple, and Apple will refund the purchase price of the Riverdance App to you; to the maximum extent permitted by applicable law, Apple will have no other warranty obligation whatsoever with respect to the Riverdance App, and any other claims, losses, liabilities, damages, costs or expenses attributable to any failure to conform to any warranty will be solely governed by these Terms and any law applicable to Abhann Productions Limited as provider of the software. You acknowledge that Apple is not responsible for addressing any claims of you or any third party relating to the Riverdance App or your possession and/or use of the Riverdance App, including, but not limited to: (i) product liability claims; (ii) any claim that the Riverdance App fails to conform to any applicable legal or regulatory requirement; and (iii) claims arising under consumer protection or similar legislation; and all such claims are governed solely by these Terms and any law applicable to Abhann Productions Limited as provider of the software. You acknowledge that, in the event of any third party claim that the Riverdance App or your possession and use of the Riverdance App infringes that third party’s intellectual property rights, Abhann Productions Limited, not Apple, will be solely responsible for the investigation, defence, settlement and discharge of any such intellectual property infringement claim to the extent required by these Terms. You and Abhann Productions Limited acknowledge and agree that Apple, and Apple’s subsidiaries, are third party beneficiaries of these Terms as relates to your license of the Riverdance App, and that, upon your acceptance of the terms and conditions of these Terms, Apple will have the right to enforce these Terms as relates to your license of the Riverdance App against you as a third party beneficiary of the software. App Updates: From time to time, we may issue upgraded versions of the app. You agree that these Terms will apply to all such upgrades. Any third-party code that may be incorporated in the app is covered by the applicable open source or third-party license EULA, if any, authorising use of such code. The foregoing license grant is not a sale of the app or a copy of the app, and Abhann Productions Limited and our partners and suppliers retain all rights and interest in the app. Any attempt by you to transfer any of the rights, duties or obligations hereunder, except as expressly provided for in these Terms, is void. We reserve all rights not expressly granted under these Terms. We are constantly changing and improving the Riverdance App. We may add or remove features, and while we’ll do our best to give you advance notice about any major changes, you understand that we may stop, suspend, or change the Riverdance App at any time without prior notice. We may also remove content from the Riverdance App at our discretion. You agree to defend, indemnify and hold harmless Abhann Productions Limited and its subsidiaries, agents, licensors, from and against any and all claims, damages, obligations, losses, liabilities, costs or debt, and expenses (including but not limited to attorney’s fees) arising from: (i) your use of and access to the Riverdance App, including any data or content transmitted or received by you; (ii) your violation of any term of these Terms; (iii) your violation of any third-party right, including without limitation any right of privacy or intellectual property rights; (iv) your violation of any applicable law, rule or regulation; (v) any claim or damages that arise as a result of any of your stuff or any that is submitted via your account; or (vi) any other party’s access and use of the Riverdance App with your unique username, password or other appropriate security code. We promise to provide you with a great service, but we can’t promise everything. The Riverdance App is provided on an “as-is” and “as available” basis. Use of the Riverdance App and the software is at your own risk. To the maximum extent permitted by applicable law, the Riverdance App and the software is provided without warranties of any kind, whether expressed or implied, including, but not limited to, implied warranties of merchantability, fitness for a particular purpose, or non-infringement. Without limiting the foregoing, Abhann Productions Limited and its licensors, do not warrant that the content is accurate, reliable or correct; that the Riverdance App or the software will be available at any particular time or location, uninterrupted or secure; that any defects or errors will be corrected; or that the Riverdance App or the software is free of viruses or other harmful components. Any content downloaded or otherwise obtained through the use of the Riverdance App is downloaded at your own risk and you will be solely responsibly for any damage to your computer system or mobile device or loss of data that results from such download or use of the service. To the maximum extent permitted by law, in no event will Abhann Productions Limited, its affiliates, officers, employees, agents, suppliers or licensors be liable for (a) any indirect, special, incidental, punitive, exemplary or consequential (including loss of use, data, business, or profits) damages, regardless of legal theory, whether or not Abhann Productions Limited has been warned of the possibility of such damages, and even if a remedy fails of its essential purpose; (b) any claims, proceedings, liabilities, obligations, damages, losses or costs in an amount exceeding the greater of £10 or the amounts paid by you to Abhann Productions Limited for the past three months of the services in question. Some geographical regions do not allow the types of limitations in this paragraph, so they may not apply to you. 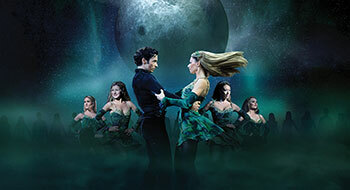 The Riverdance App is controlled and operated from facilities in the UK and Ireland. Abhann Productions Limited makes no representations that the Riverdance App is appropriate or available for use in other locations. Those who access or use the Riverdance App from other jurisdictions do so at their own volition and are entirely responsible for compliance with all applicable EU and local laws and regulations, including but not limited to export and import regulations. Abhann Productions Limited may provide notifications, whether such notifications are required by law or are for marketing or other business related purposes, to you via email notice, app notification, written or hard copy notice, or through posting of such notice on our website, as determined by Abhann Productions Limited in our sole discretion. Abhann Productions Limited reserves the right to determine the form and means of providing notifications to our users, provided that you may opt out of certain means of notification as described in these Terms. Abhann Productions Limited is not responsible for any automatic filtering you or your network provider may apply to email notifications we send to the email address you provide us. Abhann Productions Limited may, in its sole discretion, modify or update these Terms from time to time, and so you should review this page periodically. When we change the Terms in a material manner, we will update the ‘last modified’ date at the bottom of this page. Your continued use of the Riverdance App after any such change constitutes your acceptance of the new Terms of Service. If you do not agree to any of these terms or any future Terms of Service, do not use or access (or continue to access) the Riverdance App. Governing Law: These Terms and the use of the Riverdance App services and software will be governed by Irish law. Arbitration: For any dispute with Abhann Productions Limited, you agree to first contact us at privacy@riverdanceapp.com and attempt to resolve the dispute with us informally. In the unlikely event that Abhann Productions Limited has not been able to resolve a dispute it has with you after attempting to do so informally, we each agree to resolve any claim, dispute, or controversy (excluding any Abhann Productions Limited claims for injunctive or other equitable relief) arising out of or in connection with or relating to these Terms, or the breach or alleged breach thereof (collectively, “Claims”), by in the first instance engaging in neutral third party arbitration by an arbitrator agreed between you and us. The award rendered by the arbitrator shall include costs of arbitration, reasonable attorneys’ fees and reasonable costs for expert and other witnesses, and any judgment on the award rendered by the arbitrator may be entered in any court of competent jurisdiction. Nothing in this Section shall prevent either party from seeking injunctive or other equitable relief from the courts as necessary to prevent the actual or threatened infringement, misappropriation, or violation of that party’s data security, intellectual property rights, or other proprietary rights. All claims must be brought in the parties’ individual capacity, and not as a plaintiff or class member in any purported class or representative proceeding, and, unless we agree otherwise, the arbitrator may not consolidate more than one person’s claims. You agree that, by entering into this agreement, you and Abhann Productions Limited are each waiving the right to a trial by jury or to participate in a class action. These Terms constitute the entire and exclusive agreement between you and Abhann Productions Limited with respect to the Riverdance App, and supersede and replace any other agreements, terms and conditions applicable to the Riverdance App. These Terms create no third party beneficiary rights. Abhann Productions Limited’s failure to enforce a provision is not a waiver of its right to do so later. If a provision is found unenforceable the remaining provisions of these Terms will remain in full effect and an enforceable term will be substituted reflecting our intent as closely as possible. You may not assign any of your rights in these Terms, and any such attempt is void, but may be assigned by Abhann Productions Limited without restriction. Abhann Productions Limited and you are not legal partners or agents; instead, our relationship is that of independent contractors. Please contact us at privacy@riverdanceapp.com with any questions regarding these Terms.